Melt margarine in a medium skillet over medium heat. Saute onions and celery until tender. In a 2 quart casserole dish combine onions, celery, cooked rice, broccoli, mushroom soup and processed cheese spread; mix well. 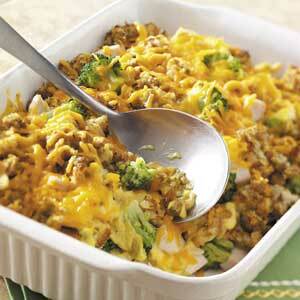 No comments for: "Broccoli Casserole II Recipe"